Hi Friends! I am sure we're all glad that at least we finally have a preview for episode 13 of Fall in Love with Me. It's just the 16 second one, but hey, something is better than nothing! It looks like Lance's stupid plan to have Huan Huan forever fake paralysis is at an end! Whoohoo! Aaron is also looking particularly fine. Though when has he ever not looked fine? I wonder if it's possible to make Aaron look ugly. Okay, so I am easily distracted when it comes to Aaron. 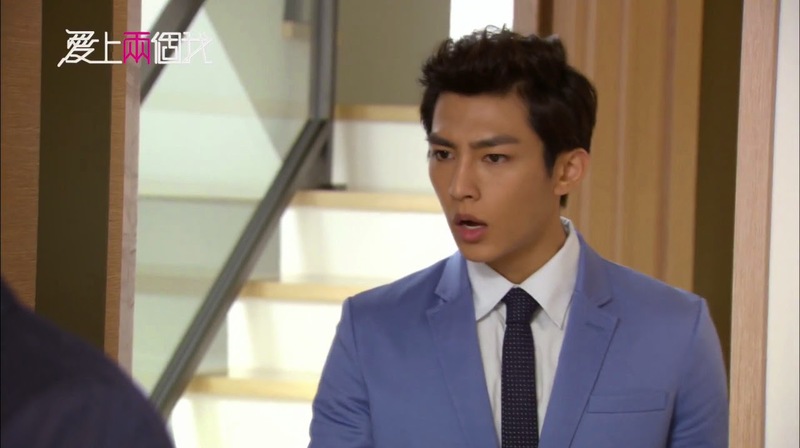 Huan Huan: If he knows that I'm lying to him, he probably won't be my Tian Xing anymore. Lu Tian Xing: Huan Huan, do you have something to tell me? I am super glad that they're not dragging out Huan Huan and Lance's paralysis deception. I'm also glad that Tao Le Si seems to be more active in helping Huan Huan, or at least being supportive at her physical therapy sessions.